Last week we attended a public involvement conference organised by INVOLVE. INVOLVE was originally set up by the Department of Health in 1996. It remains one of the oldest Public and Patient Involvement (PPI) organisations in the world. 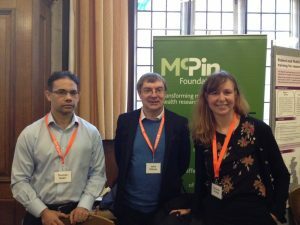 We had a stand promoting our own work championing expertise from experience in mental health research.